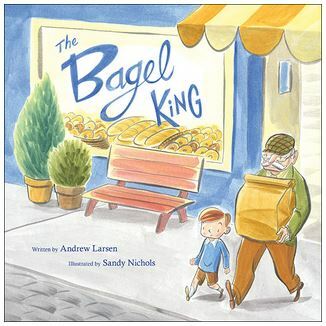 Zaida was an old man who would pick up bagels every morning and deliver them to his friends, including a little boy named Eli. One day Zaida fell and had to rest for 2 weeks. So Eli took it upon himself to make a bagel delivery to Zaida. Zaida was so happy, he named Eli the Bagel King. It’s a really cute story, and I loved the pictures. Eliot loved adventures, but at the end of the day, his mom called him home and his adventures ended. 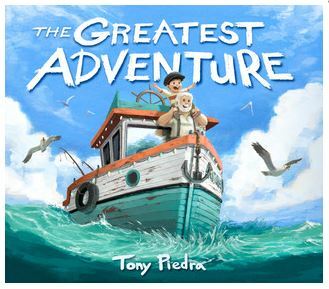 His Grandpa came to visit and told him about his adventures on his boat through the jungle and over the seas. I loved the adventures Eliot and his grandpa went on through the city. Franny went to her last day of school and decided to say goodbye, instead of being sad. She went to all her favorite places in the school and said goodbye and remembered the good times she had there. 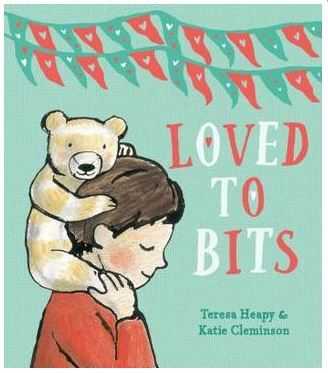 It was a very cute story, and we loved the pictures. 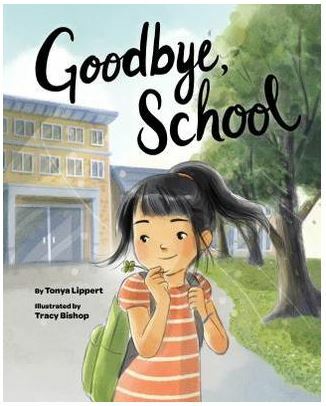 It reminded us of all the times we have had to say goodbye and change schools. James had only a couple of balloons. Each balloon held a special memory that happened in his life. James noticed his mom and dad had more balloons than him and his grandpa had even more. As grandpa got older he would share his memories with James, losing his balloons and giving James more. 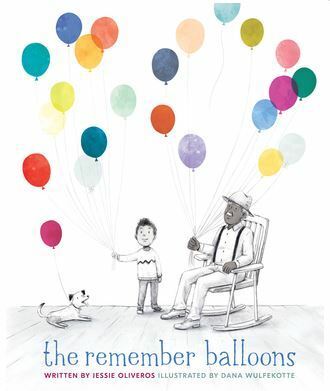 It was a very cute story, we loved the idea of balloons as memories. 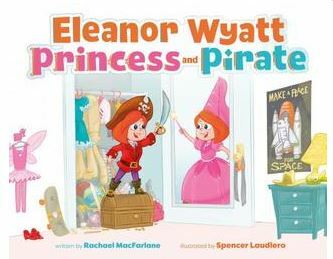 Eleanor is a girl who loves to play princess but she also loves to dress up as a pirate or a superhero, and it’s ok. The pictures are really funny and the book sends a great message to kids that it’s ok to be whatever you want to be. A little boy had a teddy bear that went on all sorts of adventures with him. After the teddy lost both arms and legs and even one eye, the boy’s mom asked if she could mend it, but the boy said no, because the teddy bear was the perfect size now. It was a cute story, with fun pictures. Willow was a good witch who lived in a gingerbread house. 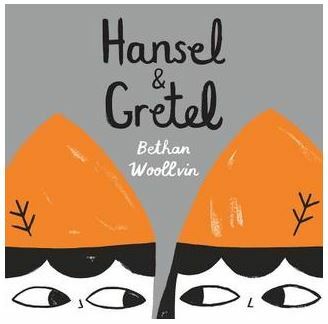 Naughty twins named Hansel and Gretel started eating her house. Willow didn’t get mad, instead she made them a feast. After dinner, the twins got into Willow’s spell book. They locked Willow in the oven when she asked them not to play with her magic. Soon the house exploded with magic and Willow got upset and put the twins into a cookpot. Because Willow wasn’t always a good witch. Fun book! Elliott woke up to a smell. He couldn’t figure out where the smell was coming from. He checked all over his house. Finally, at the end of the day his mom made him take a bath and the smell was gone. 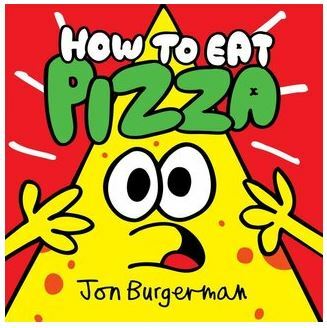 The story starts by asking if we know how to eat pizza. We choose the biggest slice and that slice of pizza is telling us all the reasons we shouldn’t eat it. The text and pictures were very funny and easy to read. 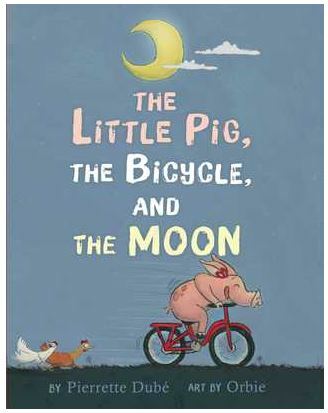 Rosie the pig wants to learn to ride a bike but doesn’t know how. Many of the animals help her learn. She learns to ride and takes off into the moonlight. March 2019 Picture Book reviews by ECEL (Special Needs) Students. These all look great! 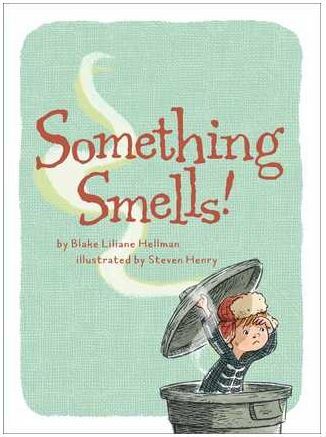 I can’t wait to read Something Smells. Thank you for these reviews!